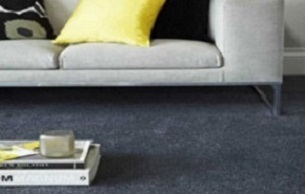 Vinyl (also known as lino) is probably the most versatile floor covering you can use in your home. Most popular for kitchen flooring and bathroom flooring it is tough, easy to clean, practical and stylish. The designs are modern and realistic with wood and tile effects. 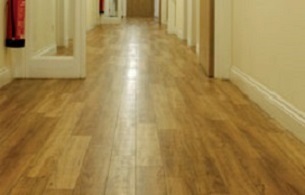 Vinyl flooring is extremely comfortable underfoot, Guarantees start from 5 years up to 20 years but do not cover rips. Kitchens, bathrooms and conservatories are all ideal areas for sheet vinyl particularly if cost is an issue. Cushion floor coverings are designed in such a way that they allow full flexibility when creating a floor to suit you! Over the last 5 years Luxury Vinyl Tiles (LVT) have emerged as one of the fastest growing flooring products in the UK and beyond. Big names such as Karndean, one of the market leaders, have brought out new product ranges featuring the latest décors. 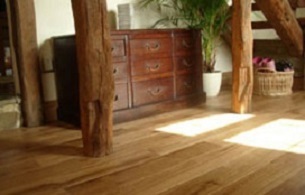 It’s considered one of the most durable products for your home flooring and comes in a huge range of finishes. Luxury vinyl floor tiles is much more advanced than the traditional vinyl floors of old. It’s extremely durable and should add value to your commercial premises or property. When fitting any kind of Vinyl flooring the floor has to be flat and sound before installation can take place. No matter what is needed we will ensure this will be taken care of and included in your quote if necessary.